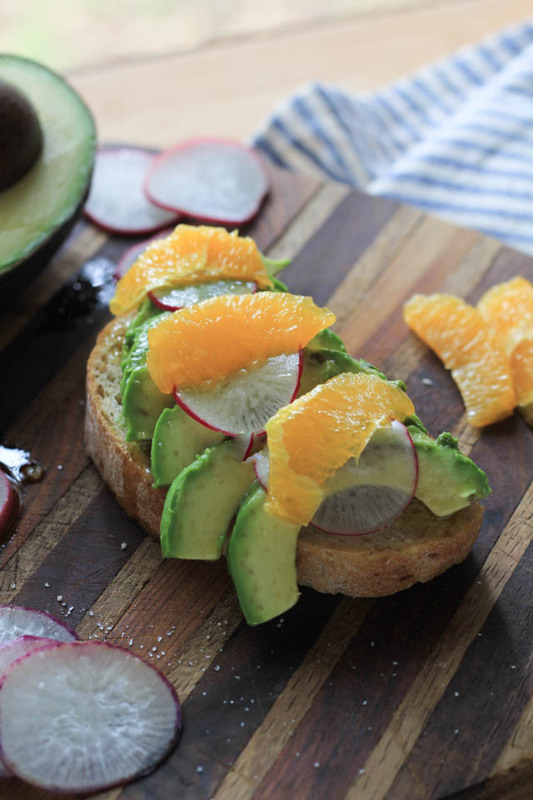 The simplicity of a piece of toast with avocado is a wonder. Topped with an assortment of ingredients, it can be transformed into a whole meal, or perfect as a snack. I haven’t met many people who do not adore a good piece of bread with avocado on it. Adding a few ingredients to make a touch more special, and it’s glory is simple good food. 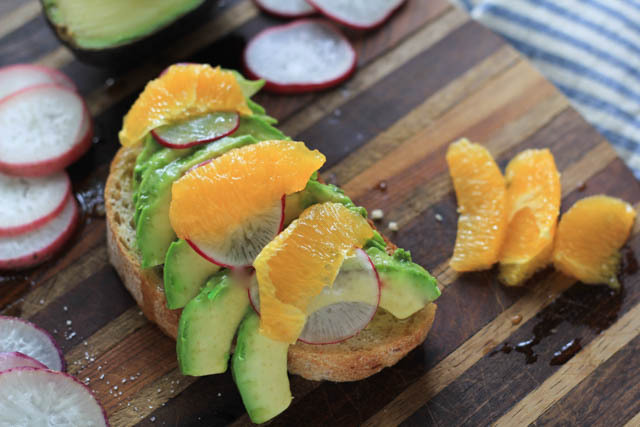 Avocados and citrus are friends, so they naturally go together well on a plate. I like to add a bit of a crunch factor so I add radishes. Super crunchy texture and very good for us. High in Vitamin C, low in calories, some anti- oxidants and phyto-nutrients. Playing with textures to make it more than avocado toast is an art but also helps satiate our need for different flavors and textures in the food we eat. I use a lot of different breads, whatever I have on hand usually. But if I’m at the store I’ll grab something a bit more special, this time I got a rustic Como loaf, and roasted garlic sourdough. 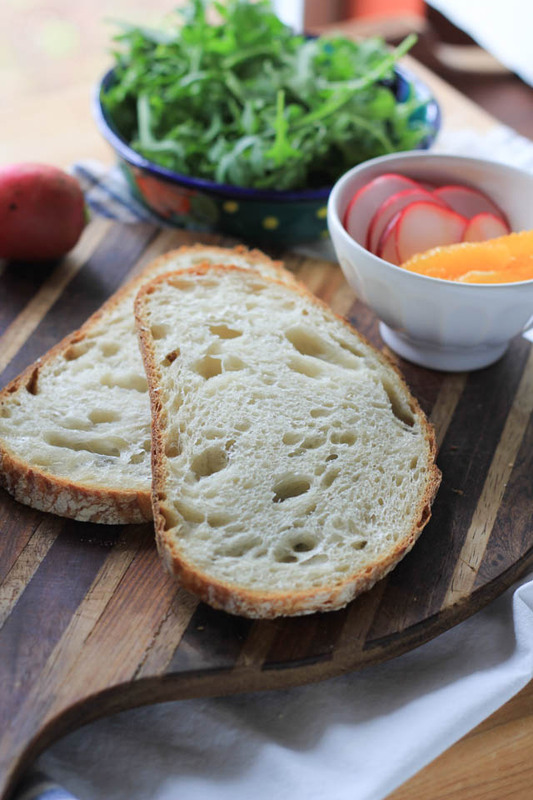 I LOVE a good bread, like either of these, but I equally love the simplicity of avocado toast so I’ll make it with simple wheat bread I keep for sandwiches. Either way, make it, it’s good and it’s good for us! Lightly toast the bread. Brush with olive oil, top with sliced avocado, season avocado with a sprinkle of salt and pepper. Add orange segments, followed by radishes. 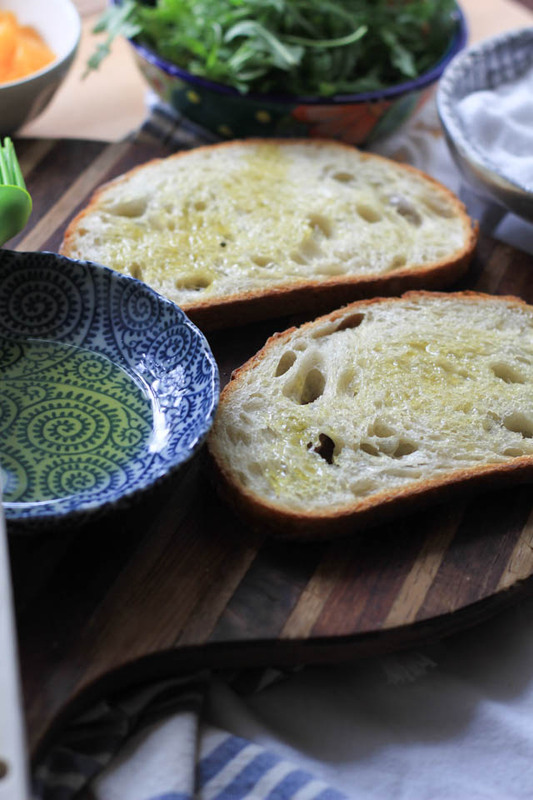 Drizzle a very small amount of olive oil on top, add a tiny pinch of sea salt. Serve with a small side salad, or enjoy on it’s own.